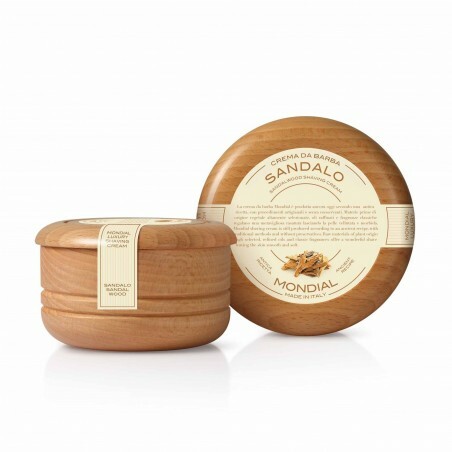 Mondial Sandalwood Shaving Cream Wooden Bowl 140ml. 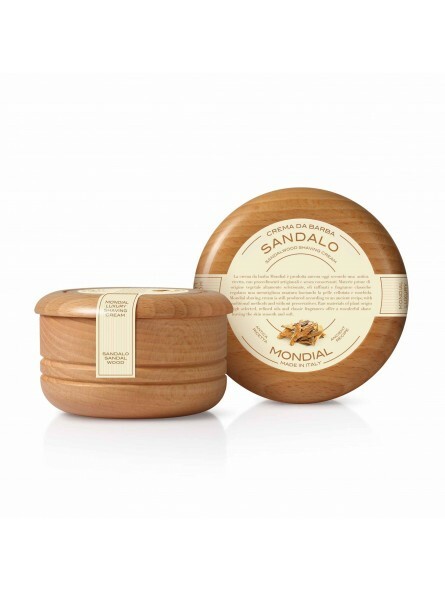 Sandalwood; traditional, rare and precious. Extracted from the sandal wood, its aroma holds oriental essences and it stimulates even the endocrine system encouraging creativity and intuition. It is a woody and thick fragrance with a persistent perfume. The olfactory stimuli coming from the sandal, are able to alleviate the physical tensions helping to fight depression and apathy. 140ml format with a luxury waterproof walnut wood bowl.